Annual Tomato Market & Plant Sale Saturday, April 27, 9.a.m. TomatoPalooza! Calling all tomato fans and gardeners. Visit Bon Air for the annual Tomato Market and plant sale. This event features a curated selection of 2,500 tomato starts from the UC Cooperative Extension Master Gardener program. 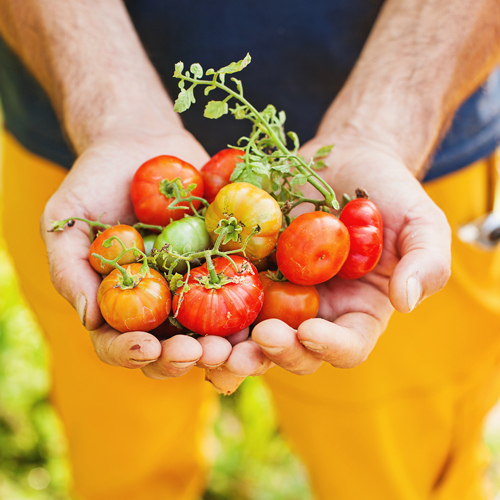 Nine heirloom and eight hybrid tomato varieties have been selected for their exceptional taste, superior growth habits, disease resistance and performance in Marin’s microclimates. Grown from seed by Marin Master Gardeners at San Rafael’s Falkirk greenhouse, the ready-to-plant tomato starts are $4 each. Tomato experts and Marin Master Gardeners will be on-hand to answer questions and offer Marin-specific watering and growing tips. The tomato starts go quickly, so early arrival is recommended. Find the Tomato Market along the western end of the Bon Air promenade near Wells Fargo Bank. 9am until sold out. 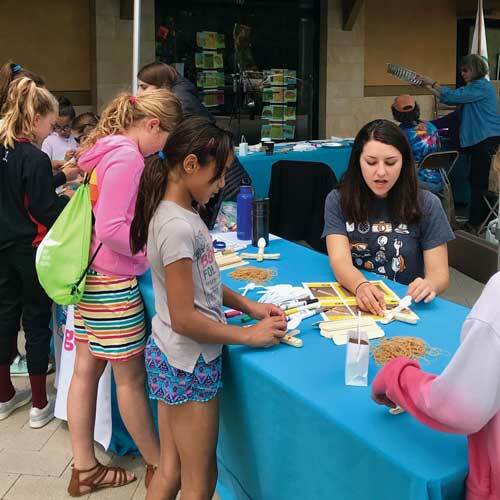 Cinco de Mayo weekend, celebrate the vibrant history of Kentfield, Greenbrae and Marin County with this free, festive outdoor community event . Presented by the Kentfield/Greenbrae Historical Society (KGHS) and Bon Air, this fun-filled, event brings together community and civic organizations, schools, scouts and more to share the extraordinary services and programs they provide for Marin.. Showcasing more than 40 service organizations live music, hands-on children’s activities, small bites and beverages, along the promenade at Bon Air. The Kentfield Fire Department features their newest and oldest fire engines. Box lunches will be available for sale from several merchants. Visit Bon Air this Mother’s Day weekend for the Marin Rose Society’s annual rose show and photography exhibit. A beautiful, exhibit of more than 40 categories of expertly grown roses and more than 200 rose and landscape photos. American Rose Society judges will award honors to rose entries. Awards are also given for photography including Best of Show and Creative Interpretation. Find educational information on how to nurture roses in Northern California and identify best specimens suited for specific climate and soil conditions. Just in time for Mother’s Day volunteers will assist kids of all ages in creating a beautiful bouquet for Mom FREE! At 3 p.m., after judging is complete, roses are available for purchase at $2 each, with 100 % of the proceeds benefitting the Center for Domestic Peace. 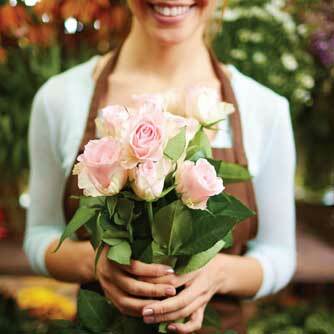 Look for Mother’s Day Roses at the northwest end of Bon Air, adjacent to Wells Fargo Bank. Visit the Annual Bon Air Spring Fair & Market, a free, family-friendly day of fun along the promenade. 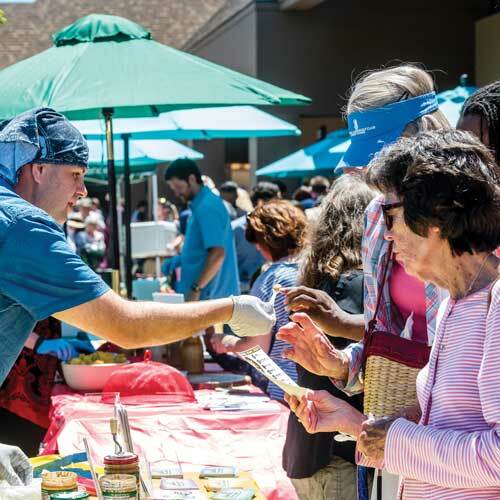 Enjoy locally grown and produced snacks, sips and desserts, chef demonstrations, live music, sidewalk sales and specials, prizes, giveaways, hands-on children’s activities. Meet the people behind the products from nearby farms, food producers and businesses. More than 70 food and beverage purveyors, selected by Mollie Stone’s Markets, will share delicious bites and refreshing beverages. Bon Air proudly welcomes Brad Gilbert Tennis Nation. 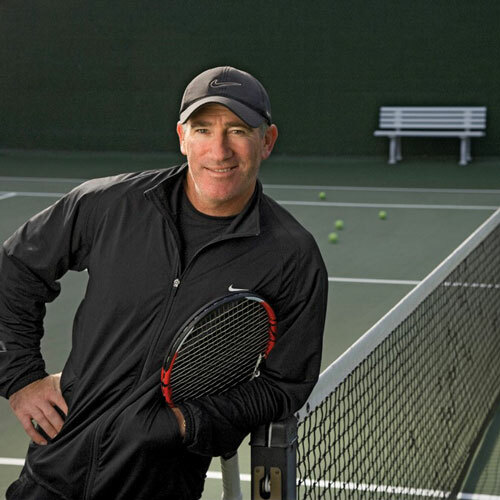 This specialty tennis boutique was co-founded by local tennis legend Brad Gilbert after retiring from the pro tour. Together with friends and business partners Harry Tong and Devin Sconyers, Brad Gilbert opened his eponymous shop in 2006. Now at Bon Air find everything you need for tennis in one stop! Visit with pros to help improve your game, fix your racquet or find specialty apparel, shoes and accessories. Visit the team at 196 Bon Air Center (415) 453-5399. Saturday 10 a.m. – 6 p.m., Sunday 11 a.m. – 5 p.m.